We’ve long been fans of Mary Orton’s classic style—which is why we’ve collaborated with Memorandum.com’s founding editor a few times before. This season, Mary has curated a Trunk reflective of her own personal style, with the perfect mix of classic and modern essentials that elevate any wardrobe. From chic blouses to statement blazers to straight-leg jeans, Mary’s picks create a versatile capsule wardrobe that’ll last you well past summer. Read on to see her must-haves, and a few suggestions for how to mix (and remix) them. A power blazer commands attention. Move past basic black with an oversized silhouette, eye-catching pattern, or bold pop of color. Keep the rest of your look minimal with a modern white blouse and either tailored trousers or cropped jeans, depending on the occasion. A midi-length dress is professional enough for work yet elegant enough for a night out. 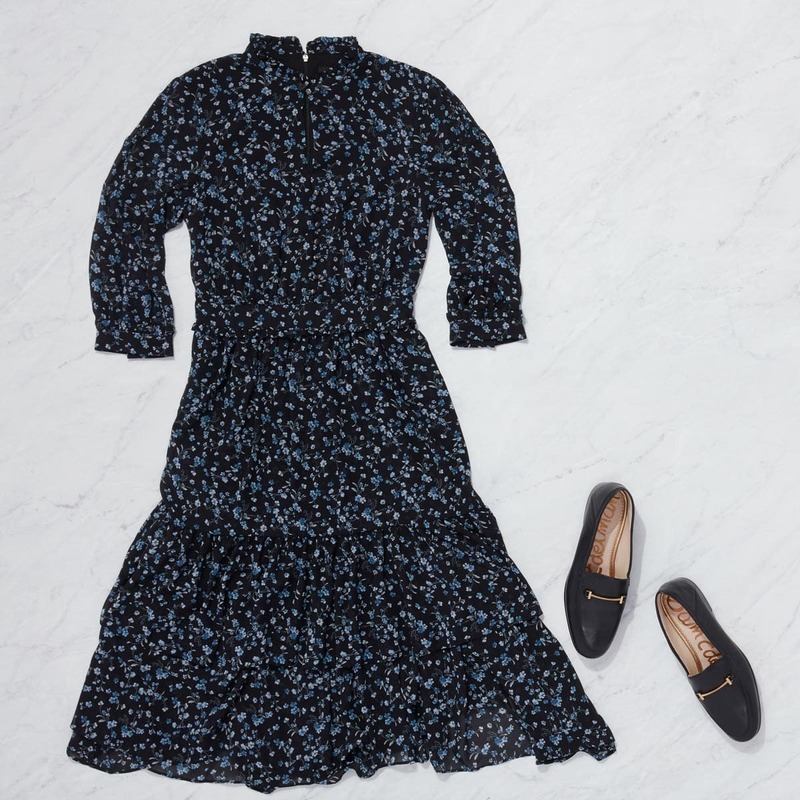 For an unexpected twist, contrast the dress with loafers for a slight masculine edge. If you’re running from one thing to the next, you might as well be stylish and comfortable. Here’s just one example of how to remix Mary’s essentials: Take that same white blouse and tuck it into a midi skirt for a modern update on a classic combo. Finish the look with those comfy loafers, and you have an outfit that works for just about anything—work, a family gathering, vacation, you name it.